Sangria on the Burg can be easily identified by its marquee sign. It had to be specially fabricated by a metal worker in Dallas. And although expensive, Ceasar Zepeda (local UTSA alumnus) feels it was worth it. 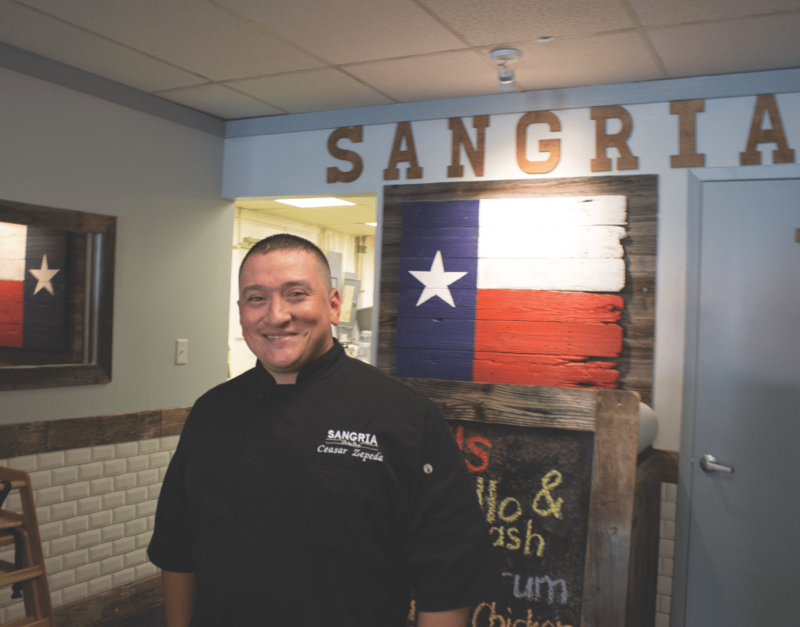 Although he ran into a few issues while getting his restaurant to open—including two extra months of rent in order to fix the gas lines and air conditioning problems—Sangria is doing well for its short time being open. “First couple weeks were like, ‘what did I do?’” Zepeda said. But soon, the restaurant became an exciting new hotspot. They have plenty of regulars from family, friends and local neighborhoods alike—one being Zepeda’s former business law professor Larry Bruner. 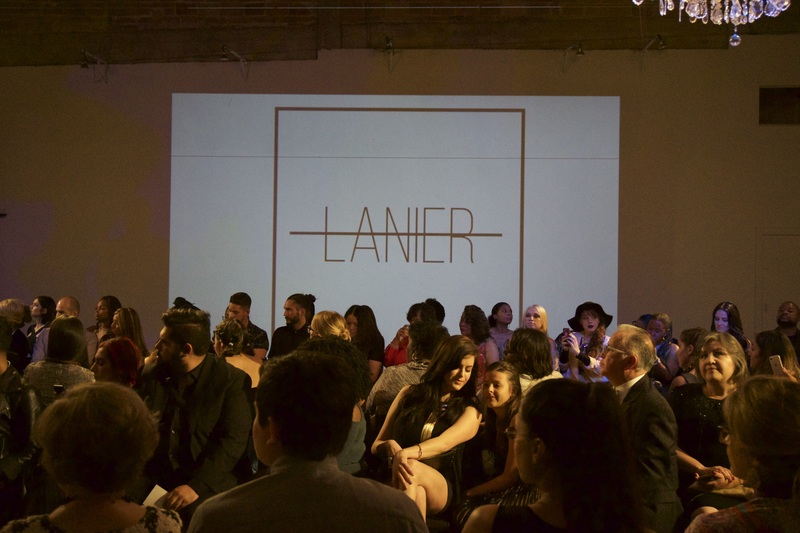 Zepeda wanted to create a quality restaurant for locals to dine at in lieu of trekking to The Pearl or Southtown area for fresh food, creative drink options and powerful flavors. 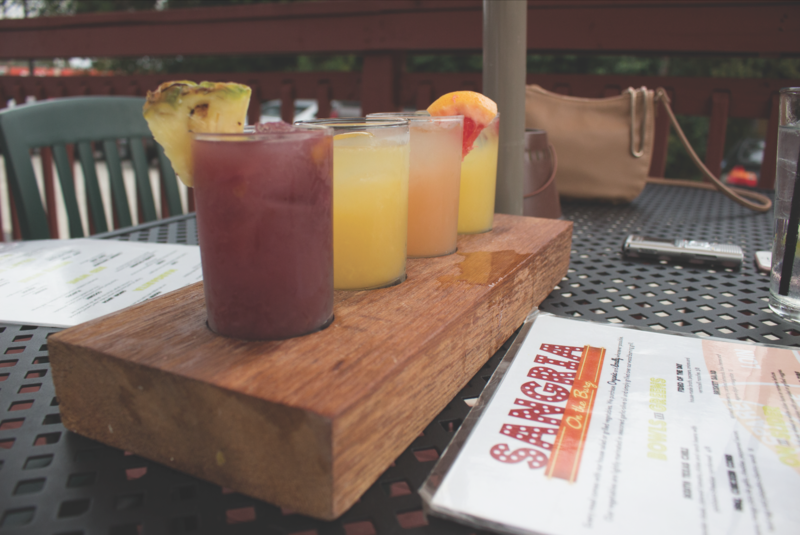 The sangria sampler is a good drink option for those who want a little taste of almost every sangria. It comes with a combo of any four sangrias. 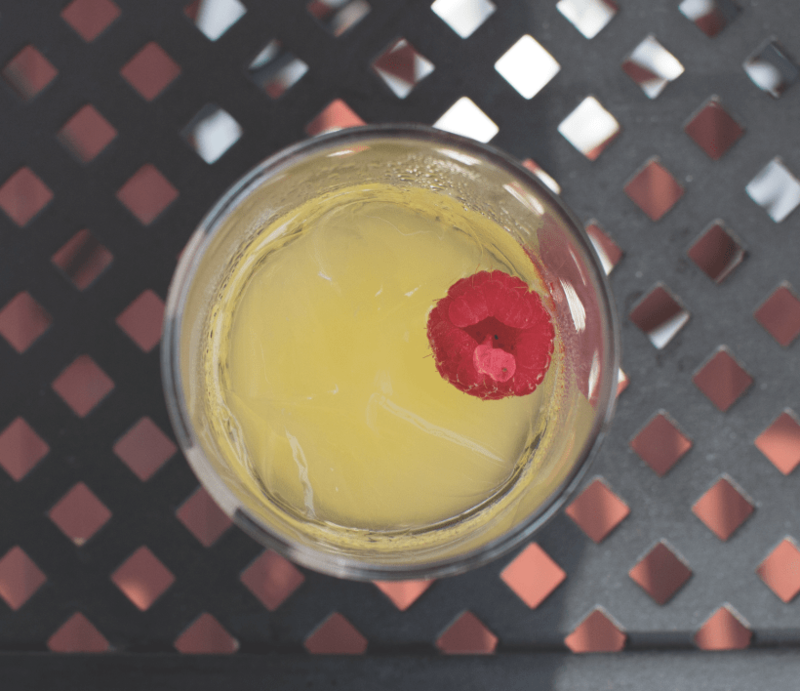 We recommend getting the Jameson, grapefruit, white and red sangrias. BBQ, specifically pulled pork, was the first thing Zepeda knew he wanted to put on the menu. Although, Zepeda doesn’t completely smoke the pork. Rather, he finishes the pork in the oven overnight. The pulled pork is tender and full of flavor to leave your mouth watering. The restaurant is small, and the patio is lovely for dining outside on sunny days. Erika, a server at Sangria, was knowledgeable about the menu, bouncing between tables while making conversation and laughing with customers. Wait times on a busy night are as short as 10-15 minutes, so no need to worry about a long wait. 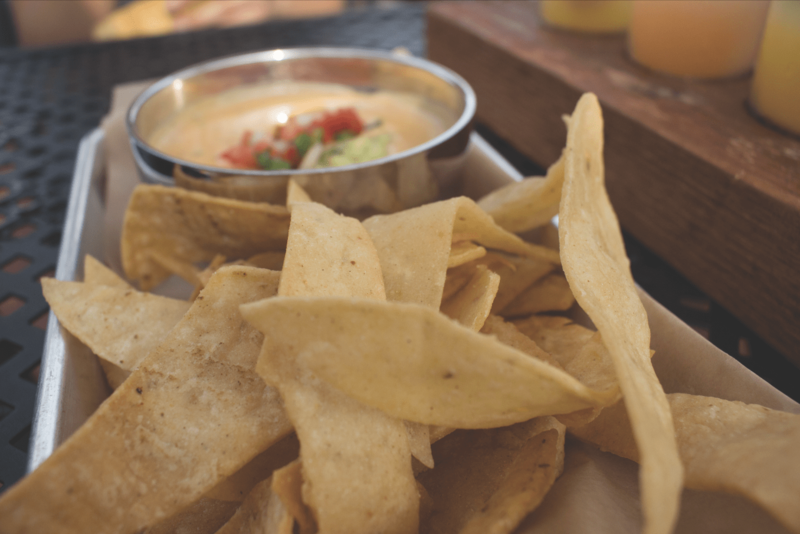 An appetizer that isn’t on the menu (but we suggest ordering) is the queso. It comes with pico, guacamole and chili. The triple mac & cheese appetizer also offers a unique twist on a classic dish. 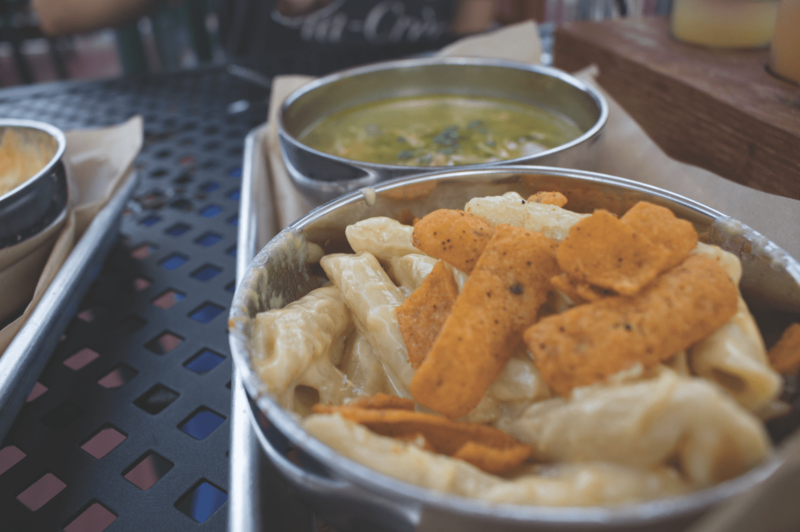 The combination of macaroni with a sprinkle of Frito chips on top is ideal for a drunk night out. And if you’re not a cheese person, the fideo (which changes daily) is another great appetizer option. The best bang for your buck in entree options would be the taco and slider combo. With these menu items, people can choose two different tacos, sliders or have one of each, offering a variety of food combinations. 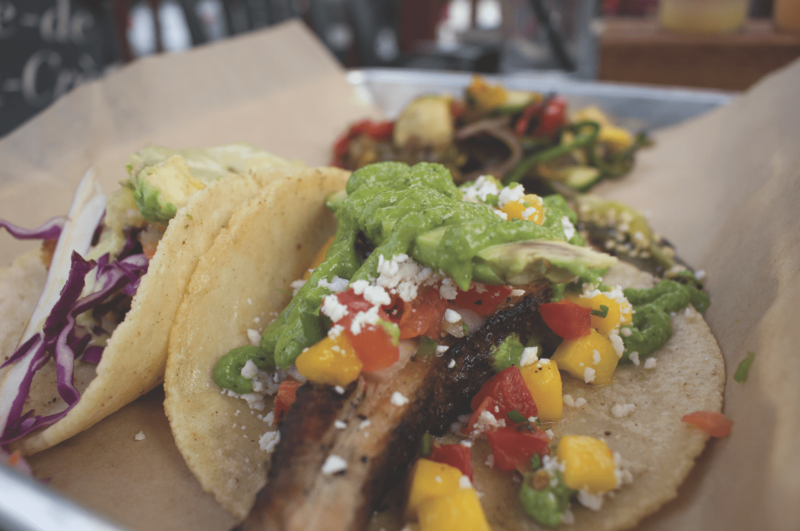 We suggest getting the pork belly and the fish taco combo. The salad that comes on the side of each entree dish is vivid in color, with strawberries sprinkled throughout for a hint of sweetness to your greens. Also, the grilled veggies are smoky, giving a BBQ vibe. For something sweet, order the arroz con leche bites. These little beauties are coated in brown sugar and fried to take on the consistency of a churro. The arroz con leche bites are served with a dollop of vanilla ice cream and topped with caramel sauce. Zepeda came up with the concept when he was drunk with his brother—and honestly, that’s probably the way they should be consumed. These bites of heaven are the best sweet snack to eat when you’ve had one too many sangrias on the burg.